1 dribbles to either corner. 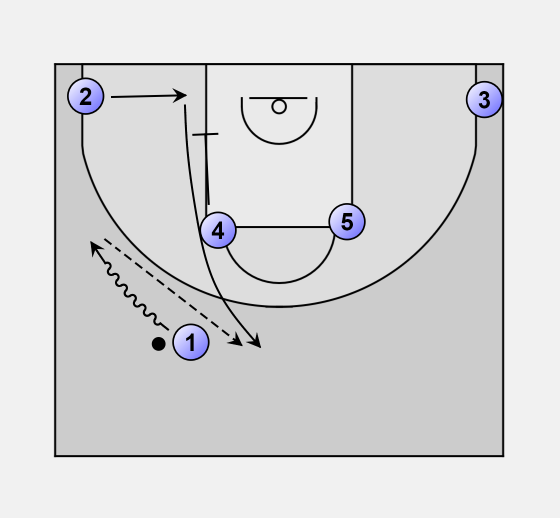 In this case 4 sets a down screen for 2. After getting free 2 receives the ball form 1. 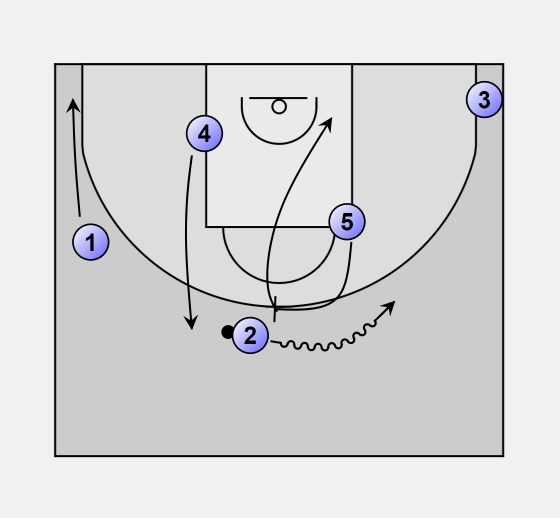 5 and 2 play a side pick and roll. 4 gets high and 1 and 3 are in the corner to (passing options when their defender helps).